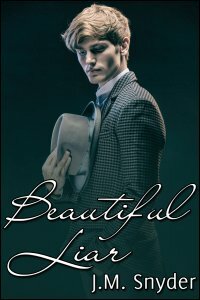 If you like love stories about actors, Beautiful Liar is right up your alley! I liked writing this story a lot. Actually, I liked Johnny and Brett so much that I wrote a follow-up short story, as well (More Lies). And here’s a little known fact — I named one of the main characters in this story after a reader of mine who won a contest. I won’t say which one, though! At fifteen, JT Pierce was the star of a hit TV show and had the world in his hands. Every teeny-bopper magazine had his face on it; every teenage girl had his poster on her wall. But then the show went on hiatus, and JT wouldn’t lower himself to bit parts or commercials. Slowly, his star faded from view. Seven years later, JT is Johnny Thomas, who hopes to jumpstart his career by hiring his former manager, Lou Merrin. He wants to do serious movies, a huge blockbuster or two, and claim one of those coveted Oscars for himself. But Lou cautions Johnny about the paparazzi, who can make or break a star these days, and he’s heard rumors of Johnny’s sexuality that might prevent him from landing those coveted leading roles. Still, Johnny’s nothing if not persistent, and he swears he’ll play it straight. Until he meets Brett, a photographer who turns his life — and his heart — upside down. Suddenly the celebrity gossip website Z-23 seems to have exclusive pictures of Johnny, and someone close to him leaks information about an audition that was supposed to be kept quiet. When photographs surface that Johnny thought were taken in confidence, he realizes he must choose between the career path Lou offers him and the love he wants to share with Brett.